We offer a wide range of ROPP Capping Machines, which is especially designed for sealing different types of bottles and containers. It can seal any bottles or containers made of tin, HDPE, PET, glass and aluminum with standard ROPP caps. Our range is easy to operate, durable, sturdy in construction and dimensionally accurate. 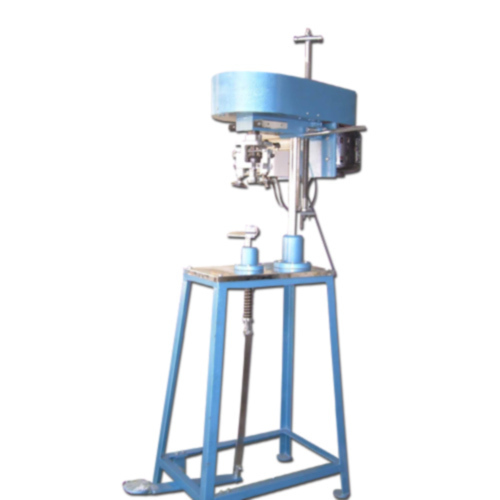 In the last one decade, we have established ourselves as a distinguished manufacturer, supplier and exporter of an extensive assortment of Filling & Sealing Machines. Our wide range includes machines under the categories of Filling Machines, Perfume Bottle Crimpers, Automatic Capping Machines, Capping Machines, Tube Sealing Machines, Planetary Mixers, Octagonal Blenders and Screw Conveyors. This range is precision engineered, using best grade raw material and components, which we procure from a trusted vendor base. Apart from this, our range is commonly used in a variety of industries such as pharmaceutical, herbal, chemical and food packaging, and is appreciated for its cost-effective prices, durability, optimum performance, robust construction and corrosion resistance. Our patrons are also provided with high quality after-sales services for training them about the installation and training of the machines. With the help of contemporary machines and tools installed in our manufacturing unit, we produce exceptional quality products. Quality testing has been given prime importance in our production process, and we use latest technology and methodology for checking the quality of the products. Furthermore, our customer-oriented approach has helped us garner a wide client base across East/Middle Africa, North Africa, South/West Africa, Middle East, South East Asia and North America. Godrej & Boyce (I) Ltd., Vikhroli (Mumbai), Galaxy Surfactants (Tarapur) and Vaishali Industries, Kalamessery (Kerala) are few of our reputed clients across the globe.